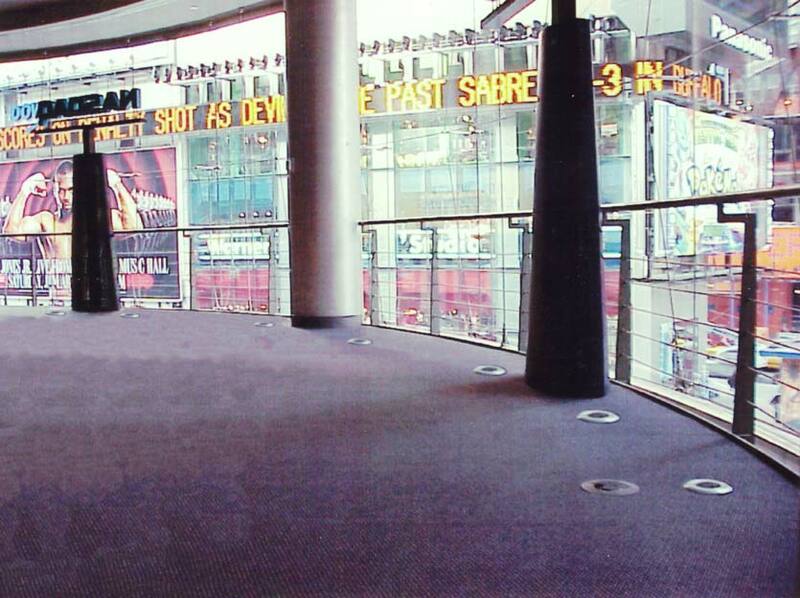 Overlooking New York City’s Times Square is the NASDAQ headquarters atrium space. The railings are set back from floor-to-ceiling windows designed to maximize the sense of openness and the spectacular view. 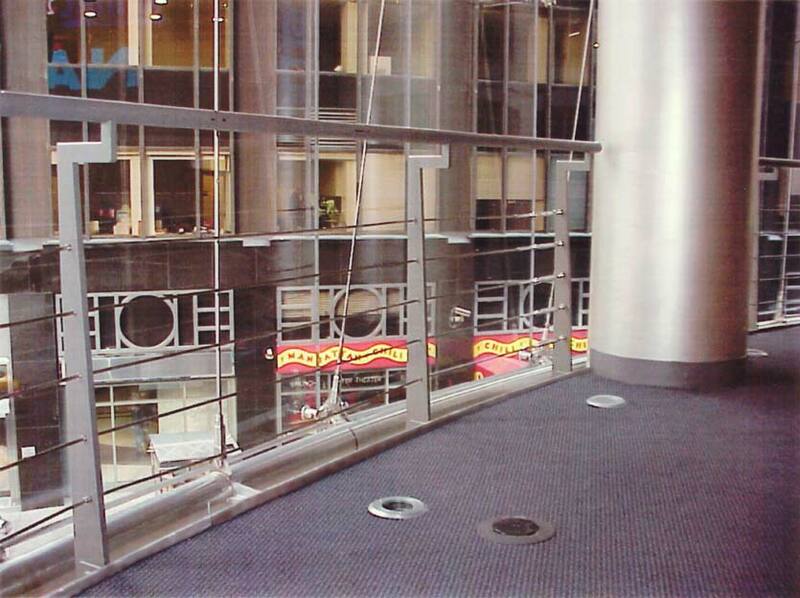 The railings supports and curved caps are made with stainless steel, with stainless steel cables beneath.